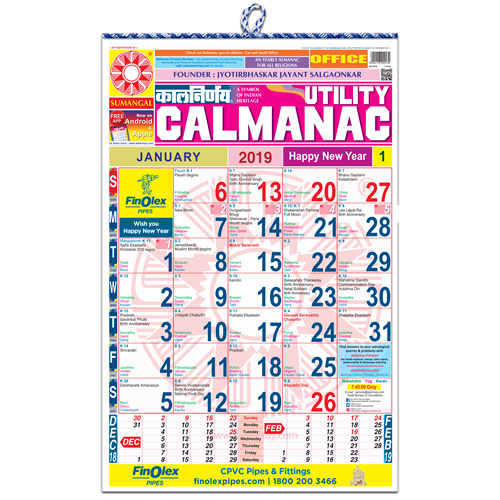 Kalnirnay Swadishta 2019 is a special combo for ‘FOODIES’. The rear side provides you various recipes of different cuisine. 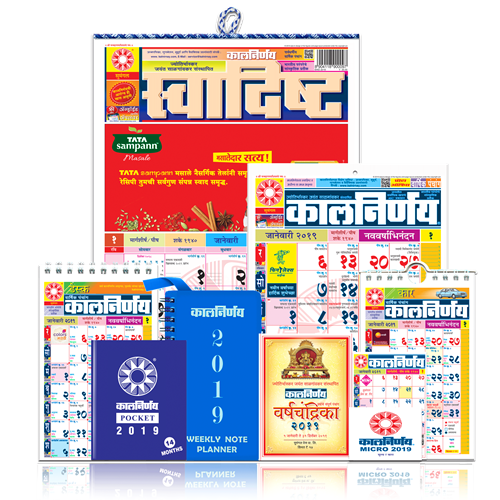 Kalnirnay is the world’s largest selling publication. 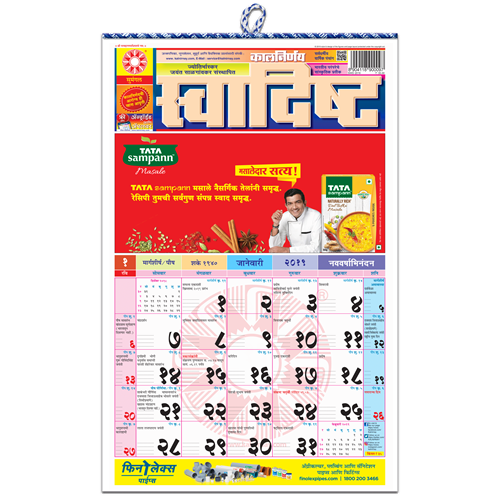 This special edition gives you simplified information about the Panchang,Auspicious Days, Festivals and Holidays. Loaded with recipes, informative articles, monthly astrology. Kalnirnay keeps you connected to the roots while you look towards the future. In this edition there are columns like “Khaucha Dabba” and “Happy Baking” are covering all tempting recipes from all over the globe which makes us famishing & provoke to make it. 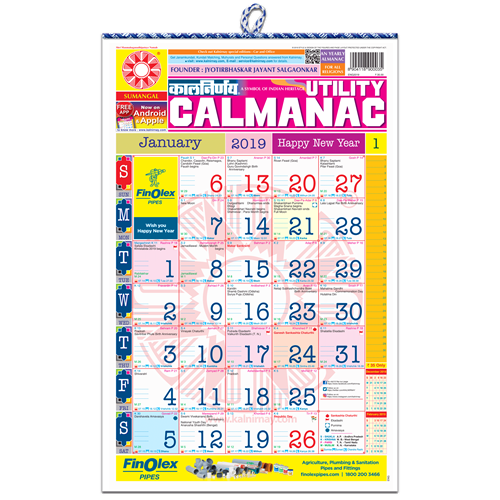 There are two niche editions of Kalnirnay namely Swadishta and Arogya Calmanac significantly covers Food & Health related content respectively.